Octavia and Petter are self described sailors, entrepreneurs, recovering Silicon Valley techies, motorcycle riders and coffee lovers. They escaped Microsoft and Seattle in 2009 and sailed away to Mexico, only to get drawn back into the startup tech world in Silicon Valley a couple of years later. 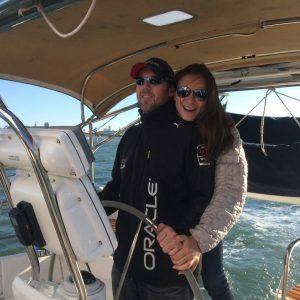 They moved to Hawaii from San Francisco in 2016 to start their own company and built Quartermaster, an app designed for boaters to help manage their yacht’s systems, maintenance, logs, documentation and crew. You can find out more about that on their Quartermaster site. They are now ready to set sail across the Pacific Ocean again to the South Pacific, starting with French Polynesia and beyond. You can follow their adventures @svbellamarina on Instagram and Facebook, and of course this blog. So how did we get into sailing? Octavia and Petter started their sailing career during the summer of 2004 in Seattle, on Lake Union. They took an intro to sailing class at The Center for Wooden Boats, instantly fell in love with sailing, bought a Catalina 27 after two weeks of classes and proceeded to cruise the beautiful Pacific Northwest including the San Juan Islands. They were quickly back to buy a bigger boat they could live on and found their ‘perfect’ boat, the future Bella Marina at the Seattle Boat Show in 2015. Urban legend has it that the faithful decision was a result of a ‘Hunny, wouldn’t it be cool to live on a boat?’ comment from Octavia after watching a ridiculous show titled something like ‘The biggest coolest yachts in the world’. It turned out Petter was a long time ‘Miami Vice’ fan and didn’t need much convincing to pursue an adventurous lifestyle living on a boat in rainy Seattle. They spent the following 4 years sailing almost every weekend and every vacation from Gig Harbor to Desolation Sound and dreaming about sailing away to warmer latitudes. 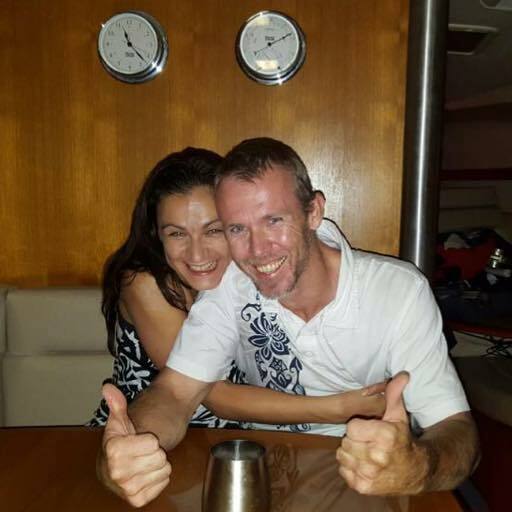 They met and became fast friends with like-minded awesome people like the crews of S/V Delos and S/V Totem, and sailed away to Mexico in 2009. They enjoyed their sabbatical year in Mexico and the South Pacific, learned tons about cruising, and were back in California by 2011 to continue their careers in tech which had allowed them this awesome lifestyle. They spent 5 years sailing the San Francisco Bay, exploring the Delta and making the best of the rather limited options for cruising in the area. In 2016 they decided to move to Hawaii, one of their favorite places in the world to start up their own sailing technology company, Quartermaster, and re-start their Pacific explorations. Petter, true to his Norwegian Viking blood, single handed Bella Marina across the ocean and arrived at Ko Olina Marina on Oahu just in time for a welcoming party complete with tropical drinks and flower leis.